Airberlin and Alitalia have signed a codeshare agreement. All of airberlin’s and Alitalia’s 412 weekly nonstop flights between Germany, Austria, Switzerland and Italy will be codeshare flights effective this winter season, the airlines told. As of October 26th, airberlin’s three daily flights from Dusseldorf and double daily flights from Berlin-Tegel will operate into Milan-Linate instead of Malpensa. 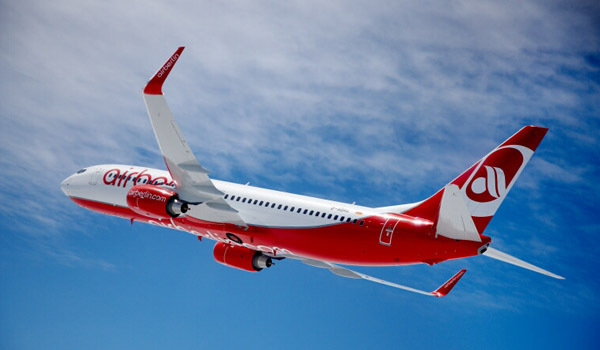 Furthermore, the three daily flights from Vienna operated by NIKI, the Austrian airline which is part of the airberlin group, will be directed to Linate as well. The partners also agreed on selective codeshares beyond their home hubs. For instance Alitalia will place its “AZ” code on some of airberlin’s domestic flights such as from Munich to Cologne, Dusseldorf, Hamburg and Berlin. At the same time airberlin will place its “AB” code on selected domestic and international Alitalia flights via Rome and Milan-Linate to, for example, Naples, Brindisi, Reggio Calabria, Alghero, Cairo or Malta as well as on some of Alitalia’s long haul flights to South America such as Sao Paolo and Rio de Janeiro. All codeshare flights will be published in the reservation systems by 20th of October 2014 for flights commencing October 26th, 2014. Codesharing on Alitalia’s long-haul connections will commence after regulatory approval. Both, airberlin and Alitalia will remain members of oneworld and Skyteam respectively. Further synergies will arise from optimized aircraft rotation and avoidance of expensive overnight aircraft stops. Etihad Airways is the largest shareholder of Air Berlin and a shareholder of Alitalia too.